The globular body is supported on three animal-claw feet and has a waisted neck with flared rim. 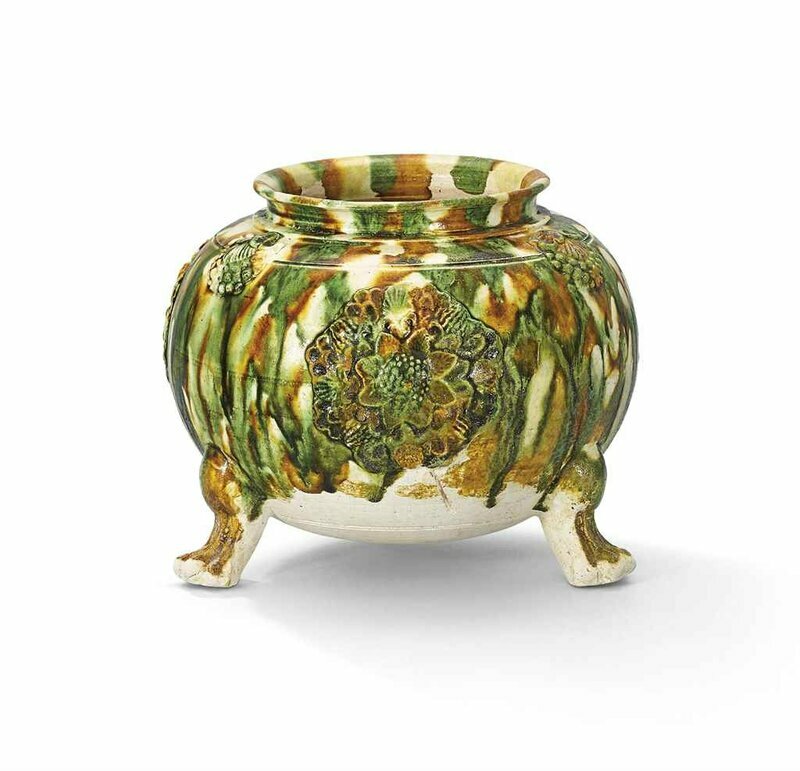 The sides are decorated with alternating large and small molded floral appliques, and are covered with streaked glazes of green, amber and cream color that fall towards the lower body revealing the buff ware. Provenance: IIn Hong Kong prior to 1996. 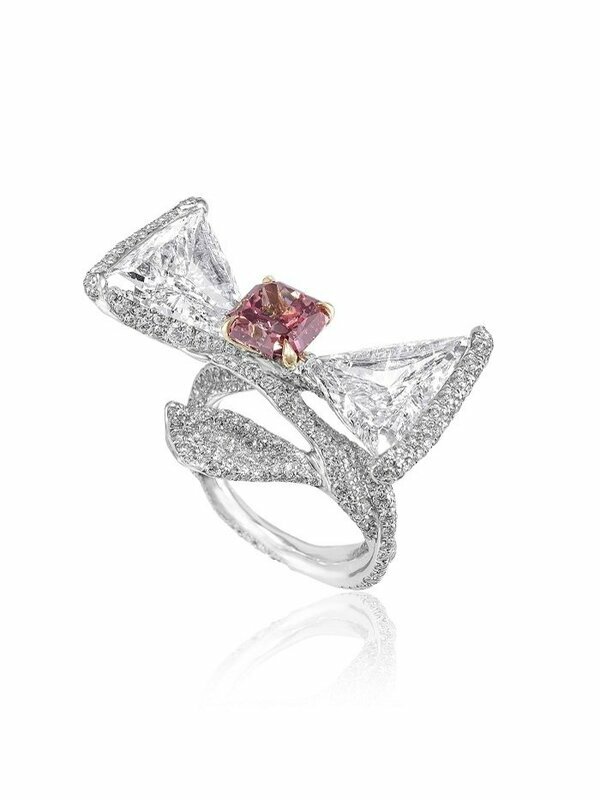 Sotheby's New York, 22 September 2005, lot 10. Peter Scheinman (1932-2017) Collection, New York. 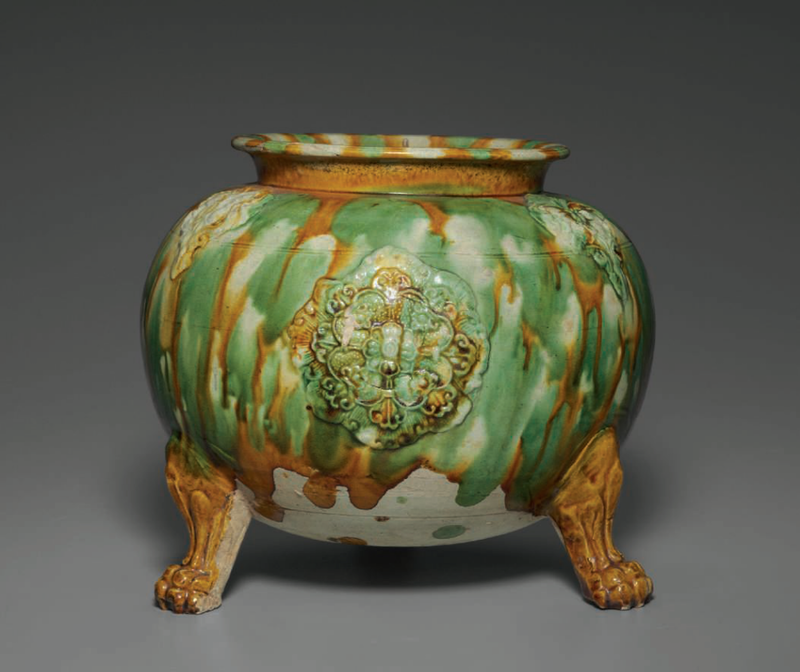 Note: Compare the sancai-glazed pottery tripod jar with very similar molded floral appliques, but of smaller size (13.3 cm. 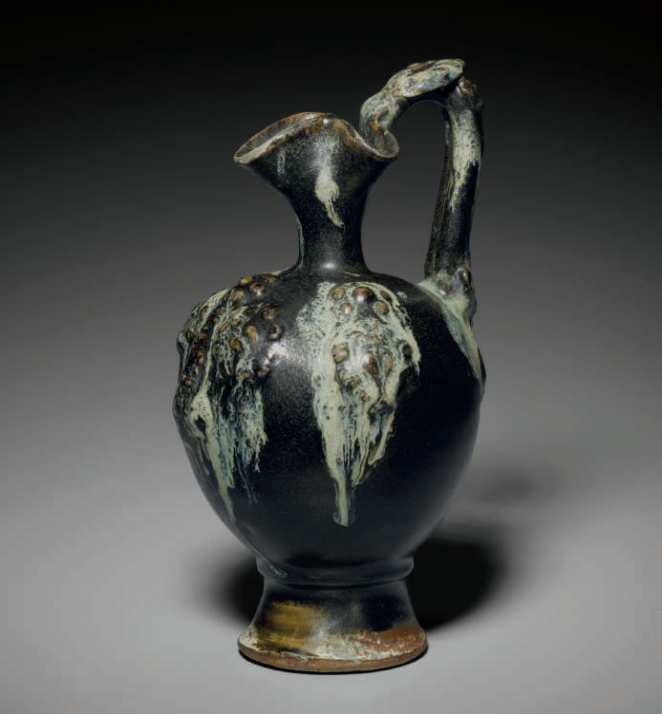 high), from the Dexinshuwu Collection, included in The Special Exhibition of Tang Tri-Colour, National Palace Museum, Taipei, 1995, p. 139, and subsequently sold at Christie’s Hong Kong, 4 October 2016, lot 3.